It tends to be a problem whenever a film is regarded as better than it actually is. You can have a movie that offers a great performance from its leading actor (Black Swan, for instance), but that doesn’t mean the film itself is good –in fact, most times the movie is only praised because of that performance, but that’s it. Had not the actor been so good, the film would have gone unnoticed. That is exactly the problem with Selma. There is so much controversy over the lack of Oscar nominations and whatnot, but nobody seems to tackle a very simple fact: the film is not that good. It’s just not. It has some breath-taking and inspirational moments that could have elevated the film from mediocre to outstanding, but the film as a whole lacks something. I can’t even find a word for it –there is something missing. That being said, I must say I thoroughly enjoyed this movie. I even cried a bit at some points -it is after all, quite an emotional story that depicts some injustices that sadly keep on taking place nowadays in parts of US. And David Oyelowo was indeed robbed from an Academy Award nomination. That is the only absence in the Oscars that I find completely unfair, because he gives the best male performance of the year: he owns the character and, as I mentioned above, if this movie is being considered at all for awards it is thanks to him. This film is out there because of him, because of what he gives, so it is a shame that he has been deprived of what was a sure win. Shame on you, AMPAS. In fact, if you remove Oyelowo’s acting from the equation, this could have easily been considered a documentary film. There are brief insights into King’s personal life, but it mostly deals with his role as a public figure –as it would be expected, you could say. 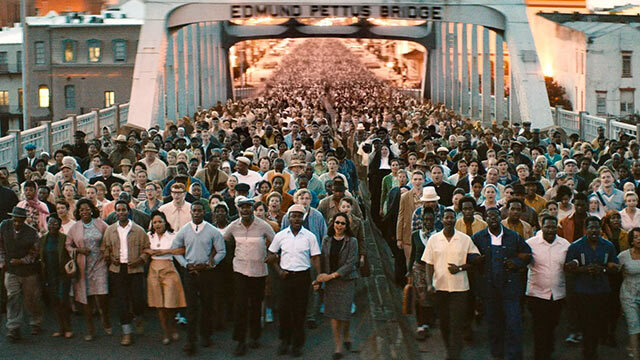 The best moments as a whole come from the scenes that take place during the march, especially every time they are about to cross Edmund Pettus Bridge or whenever Oyelowo gives a speech. Those are the parts that make you believe this film is truly worth it, until it’s undermined by the incoherence and the feeling that all they wanted was to show some poignant moments, regardless of how it would look when put all together. 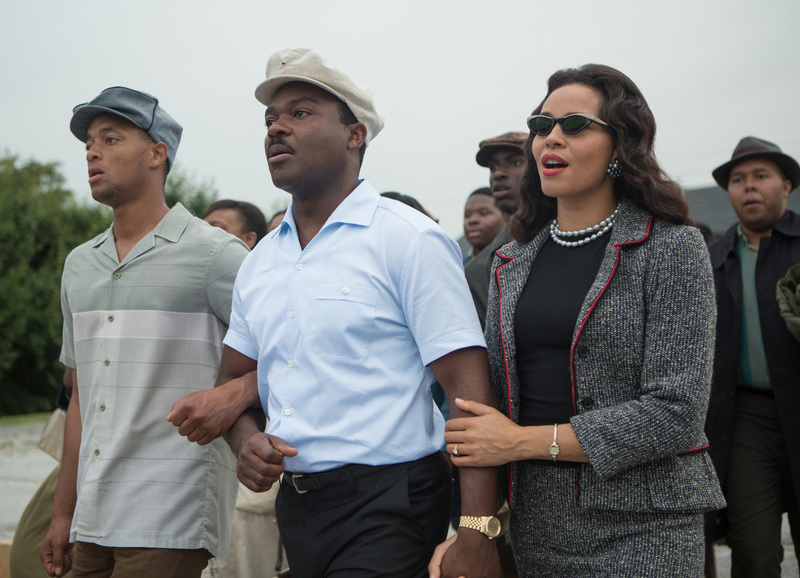 My point is this: having the best performance of the year doesn’t make Selma the best movie of the year and we have to accept that. Oyelowo’s work here should have earned him every single award of the season, but that’s it. You need the best script, the best photography, direction, music… This is Oyelowo’s Black Swan, but even if he is not up for an Oscar, I (and many others) will consider his the best performance of 2014. And this comes from someone who is a huge fan of Eddie Redmayne’s portrayal of Stephen Hawking.